I use many services every day to get my job/life organized and completed. I thought that I’d make a list of the services I use and rely on day to day. 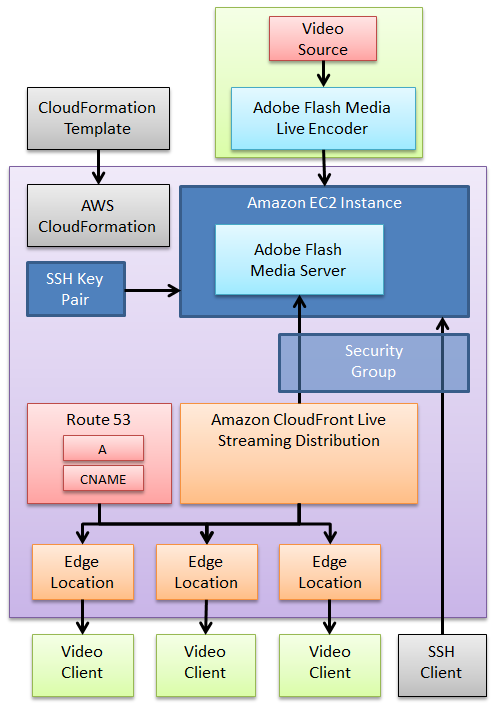 From S3 to CloudFront to EC2, Amazon’s tools are well engrained in my daily workflow, whether its content delivery, backups or servers to test things. This may be a company you haven’t heard of, but you will. They offer cloud-based servers starting at $5 a month – and all VPS’s use solid state drives for better speed. I’ve spun a few up to test and have been really pleased with their ease of use and speed. We’re running a new university service on one as a test. They have a free trial period if you want to try them out. Using the code SSDGEEK20 will get you a $20 credit, basically giving you 4 free months of service. There are many project management system, but Basecamp has worked really well for me. It’s been instrumental to us keeping track of our projects, especially since my promotion to creative director last year. Now, I’m keeping track of projects and both on and off-campus service providers, printers, and staff. It really has made life somewhat bearable. This is another product that I use at JCU and Gas Mark 8. This has proven to be an invaluable tool in our day-to-day work, whether it’s easily sharing files, screenshots and more. I have it set to auto-upload screenshots I take (and I take a few every day) and copies the link for that drop for you so you just have to paste it into the browser, Twitter client or IM conversation and it’s there. It’s that simple. It’s not just for screenshots, however. You can drag any file to it and it knows what to do. I’m happy to pay a few bucks a month for this service. Last, but not least, is Spotify. It’s technically a web service, but not like the other ones. I love music. I don’t like to be without it. I open this when I get to work in the morning and close it when I leave. I listen to it on the drive home and then on my laptop while I work into the evening. If you’ve been hesitant to try out the cloud and some of the services that Amazon offers, you may want to pay attention to this. Beginning November 1, new Amazon Web Services customers will receive an unprecedented amount of services for free to introduce you to their services and how you can implement these into your web workflow. Seriously – you get all this. I’m stunned. That’s basically a free server for a year from Amazon, storage, load balancing and more. So how can you integrate these into your web workflow? With 5 GB of free storage, use it to backup your blog or website. There are automated plugins for many CMS and blog systems, especially WordPress. If you run WordPress, use the TanTan S3 plugin to have media that you or your content creators upload go right to S3 and be served from there. Why? Bandwidth and storage space mostly. 2. Try out a new plugin, code framework, blogging tool, CMS, etc. With the micro server, you can fire up whatever you want and try it out – especially if you’ve always wanted to run, say, Ruby on Rails on a CentOS server, this is your opportunity to try it out. I’m a pretty heavy AWS user, and I’ve never used their SimpleDB or Simple Notification Services before. I’m going to use this free tier (on a new account, naturally) to put them through their paces and see if they are things might make my job easier on any given day. I’m especially interested in the notification service.